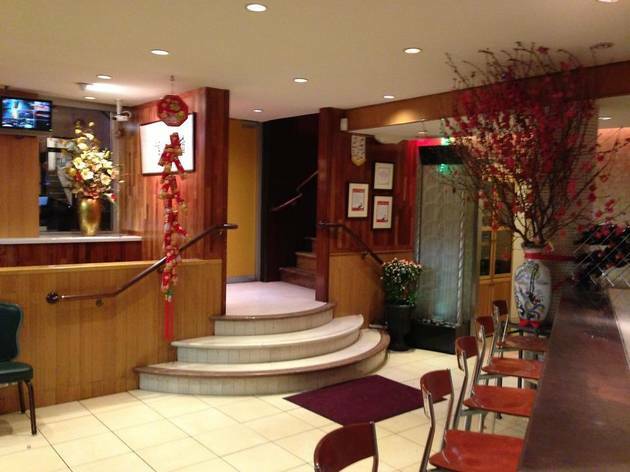 This vibrant restaurant turns out Cantonese greatest hits. Diners are drawn primarily by the signature salt and pepper Dungeness crab: battered and deep-fried legs and claws with tender morsels of crab meat, seasoned with a secret salt and pepper sauce and served with the carapace for effect. To stay on the umami train, try the eggplant and salted fish clay pot, a dense stew of braised sliced eggplant in an unctuous stock, studded with savory dried salted fish. 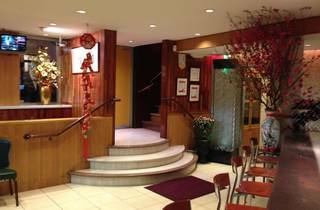 The atmosphere and vibe are characteristic of many traditional smart Cantonese restaurants around the world—suited wait staff, live seafood tanks, family gatherings and lively conversation.